It’s always somewhat unnerving to follow a truck carrying a load of cargo that appears not to be carefully secured to the vehicle. If you’ve ever been in a crash caused by debris in the road, you know that those fears are not unfounded. Road debris crashes can have a serious, even fatal result. Read on to learn about a recent study of the prevalence of road debris crashes, and learn how such accidents can be prevented. Cargo flying off a truck at highway speeds can cause major damage. Even a 20-lb item falling from a vehicle traveling at 55 mph can hit a vehicle with over 1,000 lbs of force. Swerving to avoid falling items, however, can be even more destructive. The AAA Foundation for Traffic safety conducted a study aimed at determining how often road debris crashes occur, and how destructive they could be. The study was based on data gathered from thousands of police-reported accidents that occurred across the country between 2011 and 2014. 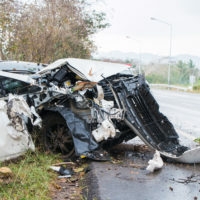 The researchers concluded that each year, an average of 50,658 accidents were caused at least in part by road debris, with 9,805 of those accidents causing an injury. An average of 125 fatalities each year stemmed from these accidents. The study found that drivers were most at risk of a fatality in a road debris-related crash when they swerved to avoid colliding with the debris. This maneuver was most likely to cause a rollover, collision with a concrete median or guardrail, or cause the driver to collide with a neighboring vehicle. Traveling with cargo that isn’t carefully secured isn’t just dangerous; it’s illegal. Commercial drivers are required by federal regulation to ensure that their cargo remains in their vehicle by using a tarp or other guard to prevent accidents that can result from loose items in the road. If a driver fails to use reasonable care in tying down or using a tarp or cap to contain cargo, that driver and the driver’s employer can be held financially responsible for accidents that result from that cargo becoming loose on the road. 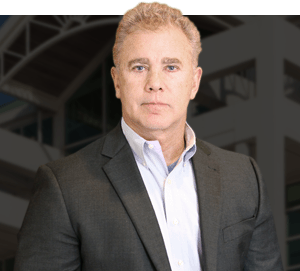 If you or someone you love has been injured by an accident involving road debris in Alabama, find out if you have a claim for money damages for your injuries by contacting the Mobile personal injury attorney Gary W. Fillingim for a free consultation, at 251-445-7257.